Japan's Ambassador to Argentina, Noriteru Fukushima, discusses bilateral relations, obstacles to investment and Japan's priorities ahead of its hosting of the G20 presidency next year. Since Mauricio Macri took office in December 2015, many nations from the international community have thrown their support behind his attempts to open Argentina up to the world. None more so than Japan, whose ties with the government have deepened year on year. 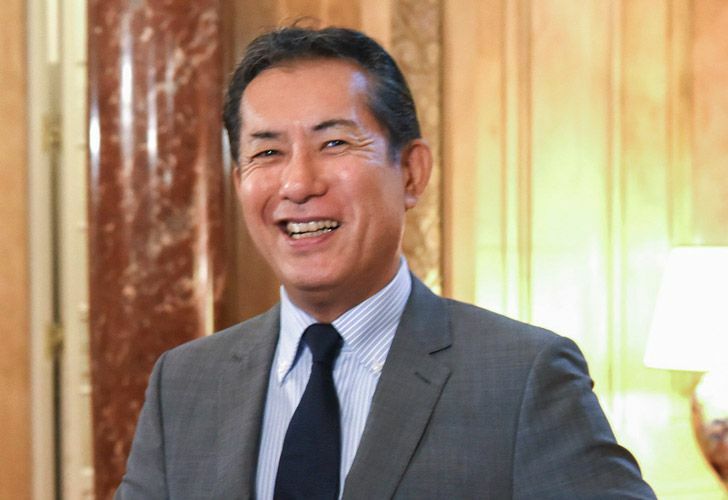 As the government prepares to welcome the world’s most powerful leaders to the nation’s capital for the G20 Leaders Summit, the Times sat down with Japan’s Ambassador in Argentina, Noriteru Fukushima, to discuss bilateral relations, trade opportunities and obstacles to investment. Times: What is it like for an Embassy to organise a visit of this level, with a prime minister [Shinzo Abe] involved? Does that make security preparations particularly difficult? Ambassador Fukushima: We have some concerns about security, but our largest concern is the bilateral meetings. When did you start planning for the prime minister’s visit? Do you have to await directions from Tokyo? And how will this event affect Japan’s Presidency of the G20 next year? Not at all. We are now in the stage of preparations [for Japan’s G20 Presidency]. We have to see the results of the G20 [summit] here first. We’ll include the most traditional topics, but we’ll add new elements. We will see the results of Argentina and we are working with the Troika. We are on the same line as Argentina. Japan has been working with Argentina and Germany [on the G20 Presidency] for the last couple of years. Argentina chose the future of work as a theme yet climate dropped off the agenda. Will climate be brought back? Yes, of course. Argentina chose three issues like the future of work. Those three issues are not the only important ones. Environment and trade and finance are also important and we have discussed them in our initial meetings. The sherpa is preparing a communiqué that hopefully we will all agree on. The most important thing is to have some kind of final paper and have continuity. Japan is one of the developed nations that has been criticised for not fulfilling its emissions targets. Will Japan lead on climate during its presidency? We should. We had the Kyoto Protocol. Everything changed after that. We couldn’t meet our target. We are trying to have more renewable energy but it’s impossible to do quickly. We can’t avoid the issue, it’s very important. We should all work together on climate. Does the prime minister plan to have a bilateral meeting with Macri? Yes, we are planning to have a meeting. We will have a ceremony [marking] 120 years [of relations] at the CCK after the G20 meeting. Will Prime Minister Abe bring a big group with him? Yes. There might be two ministers. One is the finance minister and the other one the economy minister. The delegation is big, almost 300 people. Prime Minister Abe was here in 2016. President Macri went to Japan in 2017. Now the PM is returning for the G20 summit and Macri will go to Osaka [for Japan’s G20 Summit]. That’s four visits in four years. A reflection of improved relations? Definitively. We have had agreements and concrete results. We will sign an investment treaty during this visit. A deal to avoid double taxation could also be signed. We wanted to support the presidency. We are now supporting Argentina’s entry into the OECD. It’s very important and it’s in the end stage. We hope this can be announced soon. It’s a very important moment for Argentina, to generate trust. How has the crisis and devaluation affected Japanese businesses? It has affected a little bit but not so much. Many Japanese companies have a medium- or long-term view and they are still coming to Argentina. A few weeks back I participated in the inauguration of a new vessel company, the biggest in Japan. They expect Argentina to be a supermarket for the world. Kawasaki invested in a new factory. Another area is seeds. The fourth-largest company in the world is coming to Argentina in December. Sixty percent of what we are eating is from seeds from that company. Of course. They depend on the upcoming elections. Did Japan and its business feel welcome under the previous government? Not at all. OECD countries couldn’t finance [projects in] Argentina. Big companies had money here and they were investing with their money here. Now we can get money from outside and from international banks and organisations. Before business were limited and the number of companies dropped from 120 to 50. Now are at 100. Was it just the government and its regulations – or also the involvement of China in the region? 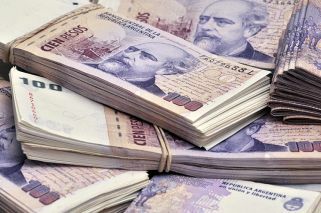 After the 2001 default, the OECD said that nobody could invest or finance in Argentina. China or Russia weren’t members of OECD and could do that. But other countries couldn’t. Argentina’s relationship with China over the last two decades has run very deep too. Was it also something ideological? Yes, of course. Macri wanted to work with Japan to diversify its relationships with other countries such as the US and Japan, which want to support Argentina. Argentina should not depend on only one country. The pie of Argentina is so big that China can’t eat it all. We should have more trade between each other. We are not so happy with the current figures [US$1.4 billion in bilateral trade]. We would like a bigger amount. You said there are about 100 companies. Are there expectations that figure will grow? Yes. Companies here are very happy. They have interest to come and do projects. We received visitors from many companies. From April the number reduced due to the economic situation. They didn’t reduce their expectations. They will come back. Even if the economic crisis continues? If the crisis continues and the people do protests and Macri’s popularity goes down, everybody will wait. The Japanese economy is good and investors have money and are looking to places to invest. Argentina is an important country for Japanese investment. I’m very positive. There’s a difference for new companies entering Argentina and existing companies here. What are the challenges for firms that are already here? There are many obstacles. One is consumption is not high and other one is labour. Customs became better and simpler. Before, to export and import products, was very complex. Imports and exports with Argentina have sped up, right? We’ve accepted lemons and beef. We still have to work on the system for lemons. We also import dulce de leche. Other problems companies face are taxes. It’s critical for many companies. Yamaha asked the government for more incentives for using local products. The government is cooperating with us. The other big issue is infrastructure. Many people try to do energy or mining [projects]. Mining in terms of lithium? Lithium and copper and shale gas. But it’s impossible to transport the product to the Atlantic side or the Pacific side. Infrastructure is indispensable for the government. In order to export the natural gas that’s generated, they have to do a factory to liquify it. Somebody should do a factory near the ocean and do a pipeline. Japanese companies are very interested. Brazil has a development bank and Chile something similar, they can finance those projects. But in Argentina BICE doesn’t have money. Funds have to come from somewhere else. This country should make a big bank to finance themselves. We can work together with Banco Nación to achieve this. The case of the cuadernos [graft probe] is an obstacle for Japanese companies too. Some firms were involved in and we need to have compliance. Does that investigation mean that Japanese firms have to do more research to see who they are dealing with? They are doing those investigations. Compliance is very important to them. The workforce is a big issue in Japan. Now it will allow immigrants into the country. Is this a symbolic step? We never accepted a huge number of foreigners before. Now we have about 1.2 million foreigners working in Japan.The government want to welcome more foreign workers. It is now discussing that and there’s some opposition. Japan is a very homogeneous country and we don’t have a lot of foreigners. The new government already said that it wants to have 40,000 more foreigners in five years. We have to change our way of working.